Whatever the occasion, Missguided have got you covered with their Feature Block Heel. 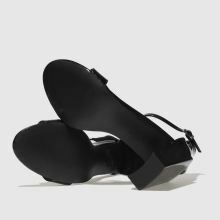 This understated chic profile comes to you in a man-made black patent upper with a secure buckle ankle strap. An offset block heel completes any party look.